It looks like a book of matches. This discreet condom package offers a large imprint area, holds one condom and can include FDA or Canadian Health recommended instructions for an additional cost. Great for bars, fraternities/sororities, colleges, AIDS prevention, Pregnancy preventions, etc. Imprint Area: Includes imprint on both sides and top grommet. Price includes a Full-Color Imprint. Each Condom Matchbook includes 1 generic brand lubricated condom.Add a Trustex™ Name Brand lubricated condom, a stock scented/flavored condom , or stock Crown™ brand assorted color lubricated condom for $0.10 net. 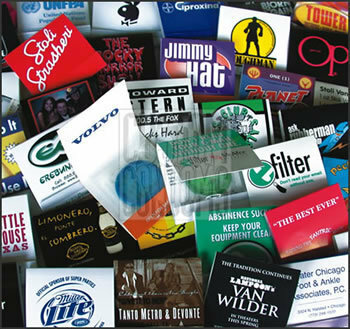 Call for availability and pricing for other name brands. Condom Matchbooks are shipped bulk.